Carissa and Breen got married at Progressive Field on a beautiful August day. This venue was, by far, the most unique place I’ve ever witnessed two people get married at. But, Carissa and Breen are truly the BIGGEST Cleveland fans of all time. 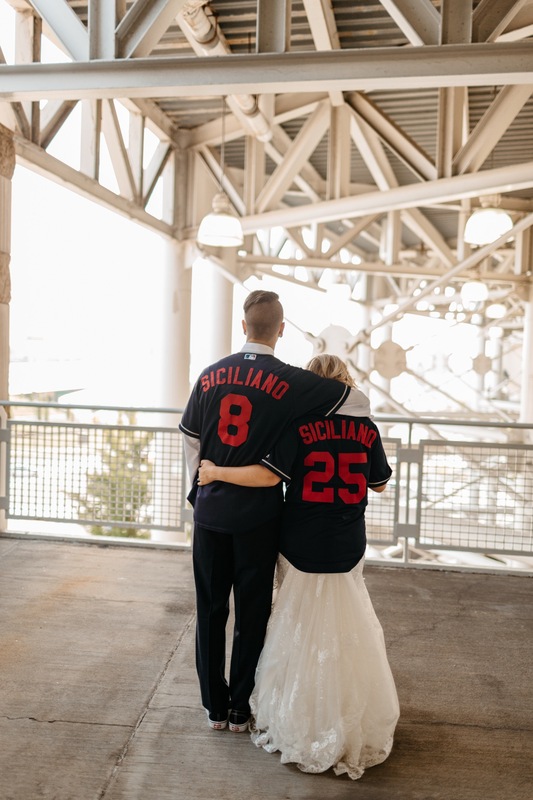 They were both raised by fathers who were true CLE fans as well - and it was an homage to them as they dedicated their lives to one another in Cleveland’s stadium. I love these two so much and it was an honor to be their photographer and to capture their wedding in such a unique space!